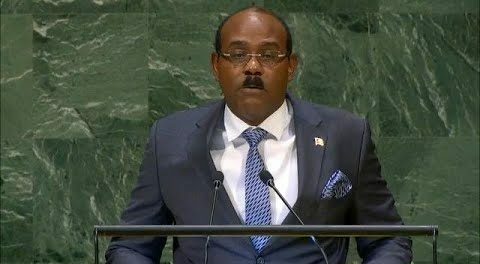 Prime Minister Gaston Browne has called for an end to the senseless and outdated trade embargo placed on Cuba by the United States more than five decades ago. 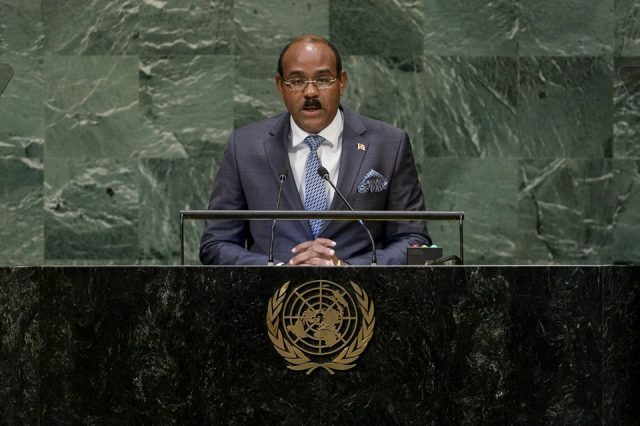 Speaking at the United Nation General Assembly on Friday, Browne said Antigua and Barbuda welcomes a recent visit to Cuba by the Chairman of the Senate Foreign Relations Committee of the United States, Mr. Bob Corker, to talk about relations between the two countries. He said progress is never made in a straight line and that there have been many zigs and zags. “But after five decades of imposing a trade embargo on Cuba, the senselessness of this policy should be obvious to all,’ Browne said during a near 20 minute speech. “We again call on the Congress of the United States to abandon the outdated trade embargo of Cuba, and to renew the avenues of dialogue and cooperation that offer beneficial prospects for the peoples of both countries, and by extension, to all the Americas,” the prime minister added.